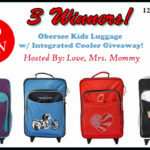 Winner’s Choice Obersee Kids Luggage w/ Integrated Cooler Giveaway! 3 Winners! $240 TRV! We Have a Winner for our August Giveaway for a $50 Amazon Gift Card! 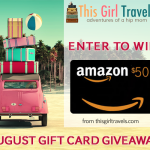 Enter our August Giveaway from This Girl Travels for a Chance to Win a $50 Amazon Gift Card! 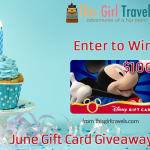 We have a winner for our June Giveaway for a $100 Disney gift card!!! 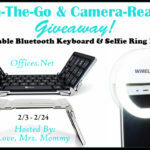 We have a winner for our May Giveaway for a $25 Kohl’s gift card! 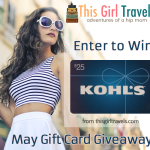 This Girl Travels Sponsors Giveaway – Win a $25 Kohl’s Gift Card! 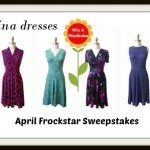 April Frockstar™ Giveaway Event – $1000 in Karina Dresses!! We have a winner for our March Give Away for a $50 Macy’s gift card!